At first we were pretty much alone. Then others arrived. 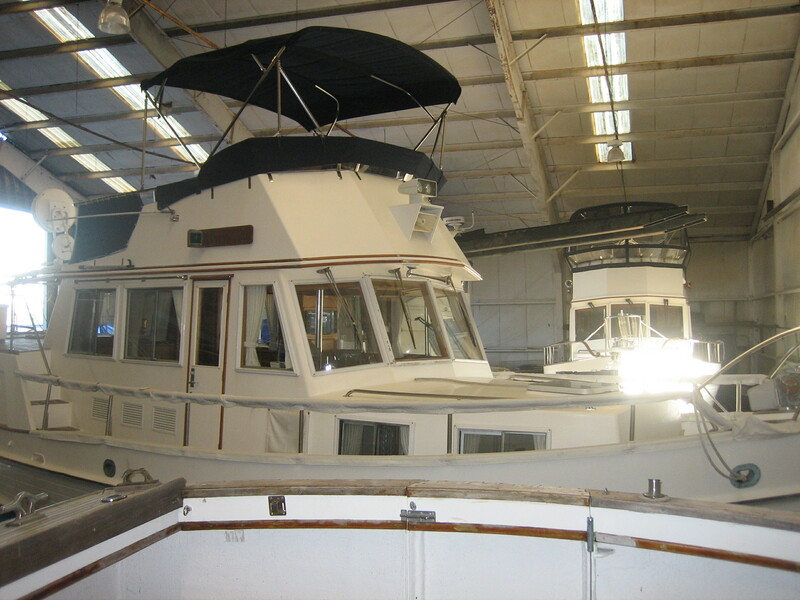 First there was Fair Winds, a lovely wood 36′ 1973 Grand Banks. And now, looking astern, more trawlers! We’re surrounded by Grand Banks! Really old in fact. Older than my beloved old 1930 Singer Model 101, the machine I’ve been happily using for the last 25 years. When I first stumbled across the 101 it was in miserable shape, having existed for an unknown length of time in a barn and providing shelter for generations of mice. The works were frozen, it was filthy and needed intensive cleaning, but went on to become one of my most reliable and trusted possessions. I’ve sewn countless dresses, coats and Halloween costumes on this gleaming old machine, but its greatest talent is to sew through boat canvas like it is butter. Eight layers of canvas (folds on seams) may slow it somewhat, but with a little coaxing it can handle ten layers. I challenge any non-commercial machine to match that! Needless to say, I frequently find myself lugging 37 pounds of Singer back and forth, a task I’d prefer to avoid, or find the machine is aboard the boat when I need it home. Last weekend Felicia and I were asked if we would like to give an old treadle machine a home, and we happily accepted. It is a 1916 Singer Model 66 with the ‘Red Eye’ (appropriately!) pattern, and it looked as forlorn as my 101 did 25 years ago. Everything was frozen solid and once again it’s clear small rodents resided within the ornate table. It’s taken several days of repeated part soakings in diesel fuel (I know, kerosene is the solvent of choice, but diesel is what I had on hand,) lots of oil and even more cleaning, and everything is whirring smoothly. This photo shows the 66 during the initial stages of cleaning and prior to installing a new belt. As with my ‘old’ 1930 101, the ‘new’ 1916 66 is no collector-grade antique. Both machines have seen extensive use over the decades, with decals worn off, chips and marks that proudly convey a usefulness which is far from over. 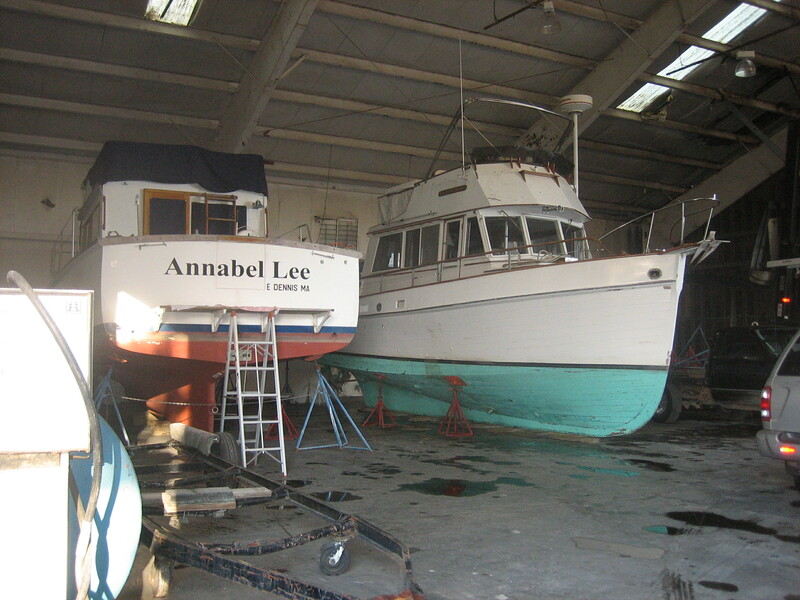 The best part is now the 101 can stay aboard Annabel Lee on a more permanent basis while the Red Eye will be my ‘home’ machine!